The investigation of the existence of a temperature change with pressure inside the pneumatic cylinder chambers during the charging and discharging strokes in the pneumatic cylinder is experimentally demonstrated. Three different variables (pressure, piston displacement and temperature) were measured in this work while operating with a servo pneumatic system and a discussion of the relationship between these variables was presented. The cylinder used has a piston diameter of (0.05m), piston rod diameter (0.02m) and a stroke length of (0.2m). The results show a temperature rise of 23 K above atmospheric temperature at chamber (1) while air compressing and a temperature drop of 17 K below atmospheric temperature at chamber (2) while air expansion and measures other temperature changes also.التحقيق حول وجود تغيير لدرجة الحرارة مع الضغط داخل غرف اسطوانة الهواء المضغوط اثناء اشواط الشحن والتفريغ لاسطوانة الهواء قد بين عمليا. ثلاث متغيرات مختلفة ( الضغط, حركة المكبس و درجة الحرارة ) تم قياسها في هذا العمل اثناء العمل بنظام الهواء المضغوط المؤازر وتم تقديم مناقشة حول العلاقة بين هذه المتغيرات.الاسطوانة المستخدمة تحتوي على مكبس بقطر (0.05m),قطر ذراع المكبس (0.02m) وطول شوط (0.2m). النتائج تظهر ارتفاع لدرجة الحرارة ب 23K فوق درجة حرارة الجو في غرفة رقم (1) اثناء انضغاط الهواء و انخفاض لدرجة الحرارة ب 17K تحت درجة حرارة الجو في غرفة رقم (2( اثناء تمدد الهواء وتم قياس تغييرات اخرى لدرجة الحرارة ايضا. From centuries , the human struggle against the forces that effected on its shelter and try to conserve it , to obtain stable structure that protect him from the external forces and meets him desire to conserve this structure as cultural inheritance from the past . The development in architect possibilities push him to search about building not just as a distinctive design among the public pattern of building , and meet it desire of eternity and crossing the time barrier towards the durability . As the visual part that we can realized physically need for materials having the advantages of the durability, the research supposed "The relation of the monumentality of architecture in its physical part with the main three substrates of the durability of building materials that presented in : climate , time and human " the research focus on this substrates and its effect to arrive to monument buildings . The research try to define the vocabularies of durability and monumentality and abstracting three substrates that forming its assumption and the research indicates mainly to the importance of the architect knowledge of the durability of materials after choosing and using in building and know every substrate from the main three supposed substrates that effected on it during the life service that supposed to be work in it, and define nanotechnology in building materials and its effect on durability. Finally the research take a research samples that tested in the research assumption for the three substrates that effected on the durability of material and its mirror on the monumentality arriving to the final results and recommendation.منذ قرون , والإنسان يُكافح ضد القوى التي تؤثر على بَقاء مأواه ويسعى الى إيجاد منشأ مستقر يحميه من المؤثرات الخارجية ويُلبي رغبته في الحفاظ على هذا المنشأ كإرث ثقافي من الماضي . إن تطور إمكانيات الإنسان (المعماري) دَفعته للبحث عن أبنية لا توفر الحماية والوظيفة فحسب ,وإنما تتصف بتوجه تصميمي مميز ضمن النسق العام للأبنية , لتلبي الرغبة في الخلود وتجاوز الحاجز الزمني والاتجاه نحو الديمومة . وحيث ان تلك الرغبة بالخلود بحاجة الى تعبير مادي فيزياوي يتمثل في ابنية تمتاز بديمومة ومتانة عالية لتحقيق أهدافها المنشودة. ان التوجه العالمي اليوم في مجال البناء والتصميم يُركز على أهمية إستغلال الثروات وتقليل الكلف ويسعى الى ايجاد مواد جديدة (او تعديل في خصائص المواد المعروفة ) للوصول الى أكبر عُمر خدمة ممكن لوظيفة البناية المصممة دون الحاجة الى صيانة مكلفة ودائمة .كما أن الدول المتقدمة في مجالات الصناعة والبناء تسعى الى إنشاء أبنية نصبية تميزها وتعبرعن رغبات وإنجازات شعبها من خلال ابنية متفردة تمتاز بالديمومة , ومن هنا برزت مشكلة البحث المتمثلة بـ " عَدم وضوح أثر ديمومة المواد في نصبية العمارة " بالرغم من انها مطلب أساسي لعمارة الحاضر والمستقبل . إن الجزء العمراني المدرك فيزياوياً للأبنية النصبية بحاجة الى مواد تحمل خصائص الديمومة , لذلك يفترض البحث " إرتباط نصبية العمارة في جانبها الفيزياوي بمرتكزات أساسية ثلاثة لديمومة المادة البنائية متمثلة بـ" المؤثرات البيئية , الانسان والزمن " يهتم البحث بالتعريف بالمفردتين الأساسيتين في البحث وهما " الديمومة " و "النصبية " في العمارة , كما ويهدف الى تقصي أثر ديمومة المواد والعوامل المؤثرة فيها للوصول إلى أبنية نصبية . يتضمن البحث أخذ عينة من أبنية نصبية هي الاكثر تمييزاً لمدنها على مستوى العالم وتحليلها بالاعتماد على المتركزات الثلاثة المفترضة في البحث للوصول الى الاستنتاجات والتوصيات النهائية. Computational and experimental investigations of thrust vectoring using co flow method had been carried in the present work. The experimental investigation included design and construction of rig with rectangular duct with aspect ratio (4.4) in order to investigate the effect of various geometric variables on thrust vectoring angle. Set of experiments tests carried out over the mass flow ratio ((ms) ̇⁄(mp) ̇ ) range 0 ≤ (ms) ̇⁄(mp) ̇ ≤ 0.23, gap height h/H= (0.0294, 0.0588, 0.088 and 0.1176) and coanda surface diameter Φ/H= (1.176, 2.353 and 3.529). Load measurements were obtained using four load cells. The computational investigation involved a 3D numerical solution by FLUENT 6.3.26 Software for some of experimental cases. The results show that the increase in secondary jet blowing rate lead to increase the jet vectoring angle, there are three zone can be observed, dead zone appears at low mass flow ratios, then followed by control region in which continuous thrust vector control can be achieved followed by a saturation region. The coanda surface diameter determines the length of the dead zone, which a small coanda surface used for coanda effect resulted in a prolonged dead zone range and the secondary gap height to the primary gap height had inverse relation with jet vectoring angle. The investigation shows that both the experimental and computational results obtained follow a similar trend line. Theory in general have been seen from two point of view, in one side, we find that Theory have drawn from the philosophical roots which have its consideration that consistence with people persuasion and researcher's agreement, and from the other side theory is responsible about giving an interpretations and explanations about something in nature or in the cultural social world in a way that it's statements may permit to be tested and analyzed by the action of the research. And because of the interdisciplinary wide range of subjects that may the theory of Architecture builds from , and in order to understand the scientific nature of the Academic Architectural local theorization, thereby we have to explain what do we mean by ( Theory) as a general Concept ,and in Architecture specifically ,in addition we have to explain the wide range of subjects that may the theory of Architecture builds from ,which makes its scientific testing method difficult because of the big parts of its subjects that belong to the human science where concepts like (Subjectivity),(Values),(Ideology) play a Big role in. and so the needs to provide a descriptive framework for the characteristics of the scientific theory in general was risen ,which may be very helpful to distinguish the instructions that achieve the scientific theory in its real meaning within the Academic Architectural local theorizing specifically. From here the research problem where determined by: " we do not have a framework that capable of describe the Academic Architectural local theorization whether it is achieve the criteria of formulating the scientific theorization or not. So the research seeks to:" state the nature of the scientific instructions to formulate the Architectural Theory , and the problem of it in general, and the way that we can classify the theory by, and disclose the theoretical framework which we can use to test the Architectural theorizing (postgraduate students dissertation - M.s.c. & Ph.D.- ) .the research determined the forward mechanism to achieve it's Goal which consist of: defining the meaning of theory in general ,and the position of the Architectural theory in the Theorizing World to reach the characteristics of the general descriptive framework of theory to depend on in testing the Academic Architectural local theorization whether it is achieve its criteria or not. The research conclude that descriptive framework, and explain the interdisciplinary wide range of subjects that may the theory of Architecture builds from, and the way that the theory of Architecture were classified between (Normative &Positivist Theory) and the characteristics of each trend. The Research Findings were summarized that the Normative Theory ( the Argumentational theories especially) which work in (what Ought to be ) Level ,suffered from the difficulty of connecting them with the living world or with the fact the they cannot be tested, and the research also find that these theories by its Hypotheses do not have it's logical connections ( we mean by logic :the relation between Premises & Conclusions),it's Premises institutes on Metaphysical world beyond the real living world ) which work in (what Ought to be ) Level and the differences of their philosophical Structures due to the difference of their basic philosophical assumptions ( Existential , Epistemological ,Methodological ,and approach to the human nature) that adopted by the researchers. The research recommended the necessity of distinguish between the theorizing criteria for subject research that belong to the two level of hypotheses (what ought to be -level, & and the level of -what it is exist already) where it is not valid to conclude one from the other because they have different testing criteria.النظرية بشكل عام ينظر لها من جانبين , فمن جهة نجد ان النظرية تسحب من الجذور الفلسفية والتي لها أعتباراتها من وجهة الاتساق لتحقيق أقتناع الجمهور وأتفاق الباحثين , ومن جهة أخرى فان النظرية مسؤولة عن اعطاء تفسيرات أو شروحات عن شيء في الطبيعة أو العالم الاجتماعي الحضاري وتجعل أدعاءاتها قابلة للأختبار والتحليل من خلال وسيلة او فعل البحث . ونظرا للمدى المتشعب والواسع الذي يمكن ان تنشأ منه النظرية في العمارة ولغرض فهم الطبيعة العلمية للتنظير المعماري الاكاديمي المحلي فقد أستوجب بيان المقصود بمفهوم النظرية بشكل عام وفي حقل العمارة تحديدا أضافة الى بيان المدى الواسع والممكن ان تنشأ عنه النظرية المعمارية والذي بدوره يصعب عملية اختبار علمية التنظير النتائج نظرا لأنتمائه جزء كبير منه الى مجال العلوم الانسانية حيث تلعب مفاهيم مثل الذاتية والقيمة والايديولوجية دورا فيه.مما دعت الحاجة الى ضرورة توفير أطار وصفي للنظرية العلمية بشكل عام يمكن من خلال الاستعانة به ان نميز شروط تحقق النظرية العلمية بمعناها الصحيح في التنظير المعماري الاكاديمي المحلي تحديدا , ومن هنا فقد تحددت المشكلة البحثية : بعدم وجود اطار نظري يمكنه وصف التنظير المعماري الاكاديمي المحلي من جهة مدى تحقيقه لشروط صياغة التنظير العلمية. وبالتالي فقد سعى البحث الى : توضيح طبيعة الشروط العلمية لصياغة النظرية المعمارية من جهة المدى المتشعب لمجالات النظرية المعمارية ومشكلة النظرية في العمارة عموما, والكيفية التي تصنف من خلالها النظرية في العمارة والكشف عن أطار نظري يمكن بموجبه اختبار تحقق شروط النظرية العلمية في التنظير المعماري الاكاديمي المحلي ( رسائل الماجستير وأطاريح الدكتوراه). وقد حدد البحث الالية التالية لأنجاز هدفه والتي تضمنت , تعريف المقصود بالنظرية عموما ومكانة النظرية المعمارية في عالم التنظير للوصول الى تحديد الاطار الوصفي العام للنظرية عموما لأعتماده كاطارا نظريا في أختبار موقف التنظير المعماري الاكاديمي المحلي منه . لقد توصل البحث الى صياغة أطار نظري يمكن بموجبه أختبار شروط تحقق التنظير العلمي لأي تنظير أكاديمي محلي يصاغ في حقل العمارة أضافة الى توضيح طبيعة النظرية المعمارية من جهة المدى المتشعب لمجالات النظرية المعمارية والمشكلة العامة لنظرية العمارة , والكيفية التي تصنف من خلالها النظرية في العمارة ( المعيارية والوضعية ) وخصائص كل منها . اما بخصوص نتائج البحث ونظرا لضيق المساحة المخصصة للبحث , فقد أكتفى البحث بعرض التحليل لعينتين من مجموع الأحد عشر عينة المنتخبة, أما باقي العينات فلم يتم عرض تحليلها –لضيق مساحة البحث- وقد تم الوصول الى مجموعة من النتائج تلخصت , بأن النظريات المعيارية -نظريات العمارة الجدلية تحديدا- التي تعمل في مستوى ( ما ينبغي أن يكون ) تعاني من صعوبة ربطها بالواقع ( او بحقيقة انها يمكن أن تجرب ) , كذلك نجد ان النظريات المعيارية -نظريات العمارة الجدلية تحديدا- او التنظير الذي قد لا تمتلك افتراضاتها أرتباطات منطقية ( ويقصد بالمنطق : هو العلاقة بين المعطيات والنتائج ) نظرا لأستنادها على معطيات تقع في عالم ميتافيزيقي مفارق للواقع المعاش وايضا , نظرا لوقوع النظريات المعيارية-نظريات العمارة الجدلية تحديدا- في مستوى ( ما ينبغي أن يكون ) والذي يختلف بأختلاف الافتراضات الاساس الوجودية ( ما هي طبيعة الحقيقة ؟) والمعرفية ( ما هي طبيعة العلاقة بين الباحث وموضوع بحثه ؟ ) والمنهجية ( ما هو المنهج المتبنى في أجراء البحث ,أستنباطي , أستقرائي, ..الخ . ) المتبناة من قبل الباحثين . وقد اوصى البحث بضرورة التمييز بين محكات تقييم التنظير الذي يقع في مجال ( ما ينبغي أن يكون ) عن ذلك الذي يقع في مجال ( ما هو كائن ) اذ لا يمكن استنتاج أحدهما من الاخر نظرا لأختلاف محكات أو مقاييس هذين المستويين . In this work, Aluminum alloy (AA2024-T3) was welded by friction stir (FSW) method using different pin profile design types; straight cylinder, threaded cylinder, tapered cylinder hexagonal, square, and threaded taper. For each type, a flat and concave shoulder was used, as well as, the welding process was single and double. The results of mechanical tests are analyzed using design of experiments method (DOE). The best and weaken mechanical properties (tensile strength, bending force and hardness) are observed when the welding is achieved by hexagonal and straight cylinder pin profile respectively. A concave shoulder gave higher mechanical properties as compared with flat shoulder. The change in welding process type presented a sensible effect. Nugget zone hardness is higher than that of base metal for all specimens. The optimum hardness result is recorded by hexagonal pin with concave shoulder profile.في هذا البحث، تم لحام سبيكة الالمنيوم (AA2024-T3) بطريقة المزج الاحتكاكي باستخدام انواع مختلفة التصميم لشكل النتوء؛ اسطوانة مستوية, اسطوانة مسننة، اسطوانة مغزلية، سداسي، مربع ومغزل مسنن. استُخدم لكل نوع كتف مسطح ومقعر، بالاضافة الى ذلك، كانت عملية اللحام منفردة ومزدوجة. تم تحليل نتائج الاختبارات الميكانيكية بأستخدام طريقة تصميم التجارب. افضل واضعف الخواص الميكانيكية ( مقاومة الشد، قوة الانحناء والصلادة) لوحظت عندما يُنجز اللحام بأستخدام النتوء ذو الشكل السداسي والاسطواني المستوي على التوالي. اعطى الكتف المقعر اعلى الخواص الميكانيكية مقارنة مع الكتف المسطح. اعطى التغيير في نوع عملية اللحام تأثير محسوس. صلادة منطقة خط اللحام اعلى من المعدن الاساس لكافة العينات. سُجلت امثل نتيجة صلادة بإستخدام النتوء السداسي ذو الكتف المقعر. Friction stir welding --- tool geometry --- DOE. This work describes seam welding process using dissimilar ferrous metals by pulsed Nd:YAG. The main objective of this work is to achieve the best welding conditions. This imposes careful selection for the welding parameters and inevitably the well design of experiment (DOE). Sheets of ASTM A240/316L stainless steel to ASTM A570/Gr30 carbon steel all of 0.5 mm in thickness were lap welded. Different pulse energies or the related peak power, pulse duration, pulse repetition rate, and welding speeds were used. Moreover, different welding speeds were controlled by the employed manipulator. The laser beam spot diameter and the standoff distance were fixed. Experimental results are supported by the computational 2D and 3D models. In this article response surface methodology (RSM) was applied to design the experiment and obtain the best parameters through a set of mathematical models that define the weld characteristics. The results show that the best joint in term of joint strength is obtained at 31.9 J pulse energy (related to 5.5 kW peak power and 5.8 ms pulse duration), power density of 1.43×106 W/cm2, 1.5 Hz pulse repetition rate, and 0.5 mm/s welding speed. laser welding --- stainless steel --- low carbon steel --- Optimization --- RSM. There is very close relation between the pile capacity and surrounding soil conditions . In cohesionless soil the pile effected on surround soil by compact loose ,cohesionless deposits through a combination of pile volume displacement and driving vibrations .the pile foundation usually designed to exceed the weak soil to the firm deposit .in this study we shall try to improve the weak soil surround the pile and observe the effect of improvement on pile capacity for driven pile. The improvement suggested in this study is compacting for surrounding soil . for this purpose we prepare testing program by selection two types of sand soil one as the origin soil and the other as improving soil (soil will be compacted and replace surround pile model) . pile model prepared for this purpose is consist of reinforcement steel bar covered with cement mortar , 50 kN automatic electromechanical compression machine was used for testing load- settlement test on pile model. The Testing procedure includes changing the diameter of soil compacted around pile model and execute the load settlement test and compare the results.هناك علاقة وثيقة بين قابلية تحمل الركيزة للأحمال وظروف التربة المحيطة بها. ففي الترب الضعيفة تتعرض التربة المحيطة بالركيزة لعملية رص نتيجة عملية غرز الركيزة وعملية الاهتزاز المصاحبة لغرزها. عادة تصمم الركائز لتجاوز الترب والطبقات الضعيفة ونقل الاحمال للترب الاقوى والاشد .في هذه الدراسة سنحاول تقوية التربة الضعيفة المحيطة بالركيزة وملاحظة تأثير ذلك على قابلية تحمل الركيزة المغروزة . عملية التحسين المقترحة في هذه الدراسة هي رص التربة المحيطة .تم تهيئة برنامج تجارب يتألف من اختيار نوعي رمل لهذا الغرض واحدة تمثل التربة الاصلية المحيطة والثانية تمثل التربة المقترحة كتربة بديلة وتتعرض للرص حول الركيزة .تم تهيئة مقترح نموذج للركيزة مكون من قطعة من حديد التسليح مغطى بمونة السمنت . تم استخدام جهاز قوة انضغاط ذو قابلية (50kN) لغرض تنفيذ تجارب (load-settlement). يتضمن برنامج التجارب الخاص بهذه الدراسة تغيير قطر التربة المحيطة المعرضة للرص حول نموذج الركيزة وتنفيذ التجارب وعمل مقارنات بين النتائج. Gypseous soils are usually stiff when they are dry especially because of the cementation of soil particles by gypsum, but great loss in strength and sudden increase in compressibility occur when these soils are fully or partially saturated. The dissolution of the cementing gypsum causes high softening of soil. The problem becomes more complicated when water flows through the gypseous soil causing leaching and movement of gypsum. This study examines the improvement of gypseous soil properties using the Silicone oil to minimize the effect of moisture on these soils. This study was conducted on artificial gypseous soil (mixture of 30% Silber sand & 70 % Pure Gypsum) treated with silicone oil in different percentages. The reason for use the silicone oil as an additive to study the gypseous soil properties is due to the leakages of oil products from oil refinery in north of Iraq build on gypseous soil, this oil products infiltrate to the foundation soil of the refinery building facilities. The results showed that the Silicone oil is a good material to modify the basic properties of the gypseous soil of collapsibility and shear strength, which are the main problems of this soil and retained the soil by an appropriate amount of the cohesion suitable for carrying the loads from the structure.تكون الترب الجبسية في الغالب قوية عندما تكون جافة بسبب جزيئات الجبس التي تعمل كمادة رابطة لجزيئات التربة، لكن يحدث فقدان كبير في مقاومة التربة ونقصان مفاجئ في انضغاط هذا النوع من التربة عندما تكون مشبعة بالماء بصورة كلية او جزئية. ان ذوبان المادة الجبسية الرابطة يسبب طراوة عالية للتربة . المشكلة تصبح اكثر تعقيدا عند جريان الماء في الترب الجبسية والذي يسبب غسل وتحريك جزيئات الجبس. هذه الدراسة تختبر تحسين خواص الترب الجبسية باستخدام دهن السليكون لتقليل تاثير الرطوبة على هذا النوع من التربة. تم استخدام تربة جبسية اصطناعية مكونة من 30% رمل و70% جبس نقي في هذه الدراسة حيث تم خلطها مع مادة دهن السليكون بنسب مختلفة. ان الهدف من استخدام دهن السليكون كمادة مضافة لدراسة خواص الترب الجبسية هوة لمحاكاة عملية نضوح منتجات البترول من منشات التكرير في شمال العراق المشيدة على هذا النوع من الترب ، حيث ان منتجات البترول تتغلل في تربة اسس هذه الابنية. النتائج بينت ان المادة دهن السليكون هي مادة جيدة لتحسين خواص الانظغاطية ومقاومة القص للترب الجبسية، والتي تعتبر من المشاكل الرئيسية التي تواجه هذا النوع من الترب. وتؤدي الى احتفاظ التربة بنسبة ملائمة من التماسك لنقل احمال المشأ. Hydrogen fuel is a good alternative to fossil fuels. It can be produced using a clean energy without contaminated emissions. This work is concerned with experimental study on hydrogen production via solar energy. Hybrid photovoltaic thermal system (PV/T) is used to convert solar radiation to electrical and thermal energy. The electrical energy is used to analyze water into hydrogen and oxygen by using alkaline water electrolyzer with stainless steel electrodes. The absorbed thermal energy is used to heat circulating water inside the copper serpentine pipe fixed on the back surface of the PV panel. A perforated pipe connected on the upper edge of PV panel is used to spray a thin layer of water on the PV panel surface for auxiliary cooling and improve the generated electrical power. The hydrogen production system is tested at different temperature of electrolysis water (40, 45, 50, 55, 60)˚C. The experimental results show that the PV module electrical efficiency is improved by (14.31)%. while the power generated was enhanced by (3.94 to 15.40)%. The maximum hydrogen production rate is 153.3 ml/min, the efficiency of the system is 20.88% and the total amount of hydrogen produced in one day is 220.752 liter.وقود الهيدروجين هو بديل جيد للوقود الأحفوري. يمكن إنتاجه باستخدام الطاقه النظيفه دون انبعاثات ملوثه. هذا العمل يهتم بدراسه عمليه لإنتاج الهيدروجين عن طريق الطاقه الشمسيه. أستخدم النظام الهجين (الكهروضوئي/ الحراري) لتحويل الإشعاع الشمسي الى طاقه كهربائيه وحراريه. تستخدم الطاقه الكهربائيه لتحليل الماء الى هيدروجين و أوكسجين باستخدام المحلل القلوي مع أقطاب فولاذيه مقاومه للصدأ. تستخدم الطاقه الحراريه الممتصه لتسخين الماء الذي يدور في الأنبوب النحاسي الملتوي المثبت على السطح الخلفي من اللوح الشمسي. أنبوب مثقب يربط على الحافه العلويه للوح الشمسي يستخدم لرش طبقه خفيفه من الماء على سطح اللوح الكهروضوئي للتبريد وتحسين الطاقه الكهربائيه المتولده . يتم اختبار نظام إنتاج الهيدروجين لدرجات مختلفه لماء التحليل الكهربائي( 40، 45، 50، 55،60) درجه مئويه. النتائج العمليه اظهرت تحسن في الطاقه الكهربائيه للوح الشمسي بنسبه (14.31)%. في حين تعزيز القدره المتولده بنسبه ( 15.40-3.94)%. اقصى إنتاج للهيدروجين هو(153.3) مل لكل دقيقه. كفاءه المنظومه هي (20.88)% وإجمالي كميه الهيدروجين المنتجه في يوم واحد هي (752. 220) لتر. Photovoltaic Thermal Panel --- Electrolyzer --- Hydrogen. --- لوح كهروضوئي حراري، محلل كهربائي، هيدروجين. Most of building rubbles or wastes contain some damaged materials such as cement, brick, steel, ceramic, plastic and other substances. Among these materials, ceramic and brick when using both of them as a partial replacement by the weight of conventional coarse aggregate in mixture concrete with presence of variety ratios ( 10% to 30%) for sawdust as replacement of fine aggregate, the resulting concrete properties will affected. So, this paper was based on the study some properties of concrete that produced of 50% replacement for those rubbles plus to presence 10%, 20% and 30% sawdust for both of them. The results revealed that present of sawdust with each of type of those rubbles provides database which are potential to be used in the production of lighter and economical new concrete material. Furthermore, the higher ratios of sawdust (more than 10 %) lead to obvious affected on the strength as well as other properties. While, those negative effects will perceptible improved when added 10% sawdust in ceramic aggregate concrete compared to brick aggregate concrete.تتضمن معظم أنقاض أو مخلفات البناء على بعض المواد التالفة كالسمنت, الطابوق, حديد التسليح, السيراميك, البلاستك ومواد اخرى. ومن بين هذه المواد السيراميك والطابوق عند استخدام كلا منهم في الخرسانة كتعويض جزئي عن الركام الخشن التقليدي مع وجود نسب مختلفة من نشارة الخشب كتعويض عن الركام الناعم فأن خصائص الخرسانة الناتجة سوف تتأثر لذلك تم دراسة بعض الخصائص للخرسانة الناتجة من تعويض 50% من تلك المخلفات أضافة الى وجود 10% ,20% و 30% من نشارة الخشب لكل منهم. أظهرت النتائج بأن وجود نشارة الخشب مع كل نوع من تلك الانقاض سيوفر قاعدة بيانات بالامكان استخدامها في انتاج مادة خرسانية جديدة اقتصادية وخفيفة. بالاضافة لذلك, فأن النسب العالية من نشارة الخشب ( اكثر من 10%) ستؤثر بشكل ملحوظ على مقاومة الخرسانة فضلا عن غيرها من الخواص. بينما تتحسن تلك التأثيرات السلبية بشكل مقبول عند اضافة 10% من نشارة الخشب في خرسانة ركام السيراميك مقارنة بخرسانة ركام الطابوق. The Mono and binary-mixed oxide catalysts were prepared by precipitation and co-precipitation method and investigated for the photocatalytic decolorization of orange G dye which was used as a pollutant model in this study. The structure of the synthesized catalysts were characterized by the X-ray diffraction (XRD), bonding by fourier transfer infrared (FTIR), morphology by scanning electron microscope (SEM) and reflection using UV-VIS diffuse reflectance spectra. The XRD results revealed that the mono oxide catalysts confirm well the cubic phase of cadmium and cerium oxide and that their mixed oxide catalyst i.e. 50Ce/25Cd show the same characteristic peaks of pure cerium oxide with slight shift to higher wave lengths for two crystalline peaks at 33.15° and 56.15° respectively. The FTIR spectra of 50Ce/25Cd mixed oxide catalyst improved the combination between both pure cadmium and cerium oxide catalyst. The diffuse reflectance showed a blue shift towards lower wave length and that the energy gap was increased with an increase in cerium content. Different reaction variables such as, effect of metal content, pH values, amount of hydrogen peroxide and effect of catalyst amount were studied to estimate their effect on the decolorization efficiency of orange G dye. The maximum catalytic activity achieved was 91% at a solution pH of 2.1, catalyst dosage of 1.5 g/L, 0.15 mL of H2O2 /100 mL of reaction volume and initial dye concentration of 10 mg/L after 60 min of reaction time.تهدف الدراسة الى تحضير خليط اوكسيد الكادميوم/والسيروم كعامل مساعد عن طريق عملية الترسيب والتحقق من كفاءته في ازالة صبغة الاورانج ج والذي استخدم كملوث في هذة الدراسة . تم تشخيص بنية المادة المصنعة باستخدام عدة تقنيات ومنها اشعة الحيود السينية ال XRD, المجهر الالكتروني الماسح SEM , تشخيص الاواصر الرابطة باستخدام FTIR وقياس فجوة الطاقة بواسطة diffuse reflectance spectra . وجدت نتائج اشعة الحيود السينية ان قمم الحيود للاكاسيد الاحادية متطابقه مع طوراوكسيد الكادميوم والسيريوم بينما كانت قمم خليط اوكسيد الكادميوم/سيريوم مشابهه لقمم اوكسيد السيريوم مع زحف قليل للقمم باتجاه منطقة الترددات الاعلى لل33.15° , 56.15° على التوالي. أظهرت نتائج diffuse reflectance spectra حيودا باتجاة الطيف الموجي القصير وقد ادى الى زيادة فجوة الطاقه بزيادة نسبة السيروم. بعد استكمال عملية التشخيص للعامل المساعد المصنع تم دراسة العديد من متغيرات التفاعل التي لها تأثير مباشر على كفاءة ازالة اللون خلال وقت التفاعل ومنها نسب المعدن في العامل المساعد , الاس الهيدروجيني, كمية الهيدروجين بيروكسايد, كمية العامل المساعد. وكانت اعلى كفاءة للعامل المساعد قد وصلت الى 91% حيث كانت قيمة الاس الهيدروجيني 2.1, وكمية العامل المساعد 1.5غم/مل, 0.15 مل هيدروجين بيروكسايد/100 مل من حجم التفاعل مع تركيز ابتدائي للصبغه 10 ملغ/ليتر خلال 60 دقيقة من وقت التفاعل. In this research, binary blends have been prepared from epoxy resin (EP) and different weight percentages of polysulfide rubber (PSR) (0%, 2.5%, 5%, 7.5 and 10%), and then compression, impact, and hardness tests were evaluated. The experimental results showed that the addition of polysulfide rubber in the epoxy resin decreased the compressive strength, Young's modulus, and hardness, while increased the impact resistance. It was found that the weight percentage 5% of polysulfide was the best percentage, which gives the best mechanical properties for the blend matrix. The advantage of this blend matrix is that, it mediates between the brittle properties of epoxy and the flexible properties of a blend matrix with the highest percentage of PSR. Short fibers (Carbon & Glass) with different volume percentage (2.5%, 5%, 7.5%, and 10%), were used to reinforce the best blend matrix obtained separately and randomly, and then the same mechanical tests conducted on these composites. The experimental results showed that the addition of fibers increased the compressive strength, Young's modulus, impact resistance and hardness. It was also observed that the composites materials reinforced with carbon fibers have significantly higher mechanical properties values than the composites materials reinforced with glass fibers.في هذا البحث, تم تحضير خلطات ثنائية من راتينج الايبوكسي مع عدة نسب وزنية مختلفة من مطاط البولي سلفايد (0% , 2.5% , 5% , 7.5% , 10%), ومن ثم تم اجراء عليها اختبار الانضغاط, اختبار الصدمة, واختبار الصلادة. النتائج التي تم الحصول عليها أظهرت بأن الزيادة في نسبة البولي سلفايد تؤدي الى نقصان في قيمة الاجهاد الأقصى, معامل يونج, والصلادة وبينما تؤدي الى زيادة قيمة مقاومة الصدمة. افضل النتائج الميكانيكية التي تم الحصول عليها عند خلط 5% من مطاط البولي سلفايد مع الايبوكسي. تم استخدام الياف قصيرة من الكربون والزجاج مع عدة نسب حجمية مختلفة (2.5%, 5%, 7.5%, 10%) لتدعيم الخليط الأمثل الذي تم الحصول عليه بشكل منفصل وعشوائي, ومن ثم تم اجراء نفس الاختبارات السابقة عليها. النتائج المستحصلة أظهرت بأن الزيادة في نسبة الالياف تؤدي الى زيادة في قيمة الاجهاد الأقصى, معامل يونج, مقاومة الصدمة, والصلادة. وقد لوحظ ايضاً بأن المواد المتراكبة المدعمة بواسطة الياف الكربون أعطت قيم عالية من الخواص الميكانيكية مقارنة بالمواد المتراكبة المدعمة بواسطة الياف الزج. Composite Materials --- Epoxy --- Polysulfide --- blend --- fibers. Numerical and experimental investigations were carried out on the effect of the vortex generators on the flow field and heat transfer from duct heaters. The flow Reynolds number ranging from 32000<83000 with a constant heat flux of 43.09426 KW⁄m^2 . In the numerical investigation, Fluent package (6.3) was used to solve the steady, (3-D), continuity, momentum and energy equations where the standard (k-ε) model was used to remedy the turbulent effects. Theoretical results show that the presence of VGs would save 27% of heaters power. The effects of two areas of VGs were looked at a small circle cross section vortex generator (SCCSVG) and a big circle cross section vortex generator (BCCSVG) of similar shapes (where〖R 〗_BCCSVG/(〖R 〗_SCCSVG )=1.5). The experimental results showed that there were an enhancement in heat transfer with the presence of VGs and heat transfer depends on VGs’ areas. The BCCSVG was the better one of enhancing heat transfer by (2.76%-4.11%). Additionally, the increase of area of VGs, number of rows for VGs and the distance between each two rows of VGs and the heaters are the most effective parameters in improving the performance of heat transfer.اجريت محاكاة نظرية و عددية لمعرفة تأثير المساحات المختلفة لمولدات دوامات (شبكة دوائر صغيرة و شبكة دوائر كبيره) على مجال الجريان و انتقال الحرارة من مجرى بداخله ملفات تسخين كهربائية و لقيم رينولدز مختلفة من 32000 الى 83000 مع ثبوت الفيض الحراري=43.09426 كيلو واط/م2. بالمحاكاة العددية تم استخدام برنامج الفلونت (3,6) مع حلول بالفرضيات التالية : جريان مستقر و ثلاثي الابعاد وكذلك حل معادلات الاستمرارية¸ معادلات الزخم و معادلات الطاقة باستخدام نموذج(k-ε)القياسي. باستخدام برنامج الفلونت تم استنتاج ان وجود مولدات الدوامات يحفظ الطاقة بمقدار 27% من طاقة المسخنات بتأثير زيادة مساحة مولدات الدوامات (كنسبة نصف قطر مولدات الدوامات ذات المقطع الدائري الكبير الى نصف قطر مولدات الدوامات ذات المقطع الدائري الصغير=1.5) ولنفس الشكل على اداء المسخنات. النتائج العملية تبين انه هنالك تحسين بانتقال الحرارة بوجود مولدات الدوامات.حيث يعتمد تحسين انتقال الحرارة على مساحه مولدات الدوامات و تبين ان ذات النوع الدائري الكبيره هي أفضل في تحسين انتقال الحراره بمقدار (2.76%-4.11%) في حالة وجود ثلاثة صفوف من مولدات الدوامات وعلى بعد 2سم قبل او بين المسخنات و مولدات الدوامات. ان الزيادة في: (مساحة مولدات الدوامات,عدد صفوف مولدات الدوامات ,المسافة بين أي صفين من مولدات الدوامات والمسخنات)هذه تعتبر اكثر العوامل المؤثرة على تحسين انتقال الحرارة. VGs --- heat transfer --- مولدات دوامات --- انتقال الحرارة. In this study a Nickel-Titanium-Cupper shape memory alloys was manufactured by powder metallurgy (PM) technique, powder mixture of 50% Ti , 47% Ni and 3% Cu was prepared by mixing for two hours and compacted in a press machine using various compacting pressure (600, 700 and 800) MPa , sample was then sintered for 5 hrs in an electrical tube vacuum furnace using sintering temperature of (850˚C, 900˚C and 950˚C) .phase analysis of samples was conducted by X-ray diffraction test, the effect of different sintering temperature and compacting pressure on the porosity, microhardness ,compression strength and the shape memory effect (SME) was studied, the result showed decrease in the porosity and increasing in the shape recovery ,compression strength and microhardness with increasing compacting pressure and at lower sintering temperature and hence the best results was at 800MPa compacting pressure and 850˚C sintering temperature.في هذه الدراسة تم تصنيع سبائك ذاكره الشكل (نيكل – تيتانيوم – نحاس) بواسطة تقنيه ميتالورجيا المساحيق وتم تحضير النماذج بخلط المساحيق بنسب وزنية (50%Ti)، (47%Ni ) و((3%Cu لمدة ساعتين. تم كبس الخليط بضغط 600،700و 800 ميكا بسكال وبعدها أجراء عملية التلبيد باستخدام فرن كهربائي و لمده 5 ساعات وبدرجات حرارة 950,900,850 ˚م. تم دراسة تكون الأطوار باستخدام مطياف الأشعة السينية , ودراسة تأثير حرارة التلبيد وضغوط الكبس المختلفة على المسامية, الانضغاط,الصلادة وقابليه التذكر للسبائك. النتائج العملية أظهرت زيادة قابليه التذكر,الصلادة, قوة الانضغاط ونقصان المسامية بزيادة الضغط ونقصان درجه حرارة التلبيد وبالتالي فأن أفضل النتائج كانت عند ضغط كبس 800 ميكا بسكال وحرارة تلبيد850˚ م. Shape Memory Alloys --- Powder Metallurgy --- Porosity --- Compression Strength --- Shape Memory Effect. --- سبائك ذاكره الشكل --- ميتالورجيا المساحيق --- مسامية --- متانة الانضغاط --- قابليه التذكر. Consider polymers and polymer matrix composite are the basis of the most prevalent material in all industrial and medical fields because of its properties qualify to occupy an advanced position among other engineering materials because of its good properties. Therefore, This work focuses on the preparation of base polymer matrix composite materials and study non-saturated polyester as matrix has been strengthened by zeolite particles different grain sizes (25 - 65 - 75) µm and different volume fractions (1,5 - 3 - 4,5 - 6 - 7,5 - 10) % was strengthened by Carbon short fibers and constant volume fraction (8%),the tests tensile and bending according to ASTM specifications, respectively. Through the results it was observed that the maximum tensile strength improved through hybrid reinforcement when reached the maximum value when the grain size (25 µm ) and at volume fraction (7.5%), reaching ( 94 N/mm2 )compared with the rest of sizes and at the same volume fraction reaching (78 N/mm2 for 65 µm , 69 N/mm2 for 75 µm), As for the bending test has been getting maximum Flexural resistance at grain size (25 µm) at volume fraction ( 6%) reached to(111 N/mm2) ,if compared with the rest of sizes at the same volume fraction reaching (100 N/mm2 for 65 µm,79 N/mm2 for 75 µm) while was obtained on the maximum bending modulus at grain size (25 µm) and at volume fraction (10%) reach to (8099 N/mm2) if compared with the rest of sizes at the same volume fraction reaching (7466 N/mm2 for 65 µm, 6666 N/mm2 for 75 µm ). Through the results we note that for the particle size and fiber effect in improving the mechanical behavior of the composite material prepared.تعتبر البوليمرات والمواد المتراكبة ذات اساس بوليمر من اكثر المواد انتشارا في كافة المجالات الصناعية والطبية لما تتمتع به من خواص تؤهلها لاحتلال مركز متقدم من بين المواد الهندسية الاخرى لما تتمتع به من خواص جيدة . لذلك , في هذا العمل ركز على دراسة مادة متراكبة ذات اساس بوليمري حيث تم دراسة البولي أستر الغير مشبع كأرضية وتم تقويته بدقائق الزيوليت بأحجام حبيبية مختلفة ( 25 – 65 – 75 µm( وكسور حجمية مختلفة ( 1,5 – 3 – 4,5 – 6 – 7,5 – 10 )% وتم تقويته بالياف كاربون قصيرة وبكسر حجمي ثابت مقداره ( 8% ) , وتم اجراء اختبار الشد والانحناء حسب المواصفات الامريكية على التوالي .ومن خلال النتائج لوحظ ان مقاومة الشد القصوى تحسنت من خلال التقوية الهجينة الماخوذة وبلغت قيمتها القصوى عند الحجم الحبيبي (25 µm( وعند كسر حجمي (7,5 %) حيث بلغت (94N/mm2 ) مقارنة مع باقي الاحجام وعند نفس الكسر الحجمي حيث بلغت ( 78 N/mm2 للحجم 65 µm – 69 N/mm2 للحجم 75( µm , اما بالنسبة لاختبار الانحناء فقد تم الحصول على اقصى مقاومة انحناء عند الحجم الحبيبي (25 µ) وعند كسر حجمي (6%) حيث بلغت ( 111( N/mm2 اذا ماقورن مع باقي الاحجام عند نفس الكسر الحجمي حيث بلغت ( 100 N/mm2 للحجم 65 µm 79 N/mm2, للحجم 75( µm بينما تم الحصول على اعلى معامل انحناء عند الحجم الحبيبي (25( µm وعند كسر حجمي (10%) حيث بلغت ( 8099( N/mm2 اذا ماقورن مع باقي الاحجام عند نفس الكسر الحجمي حيث بلغت (7466 N/mm2 للحجم 65 6666 N/mm2, µm للحجم 75 µm ) من خلال النتائج نلاحظ ان للحجم الحبيبي والالياف تاثير في تحسين السلوك الميكانيكي للمادة المتراكبة المحضرة. Friction stir spot welding (FSSW) is a modern solid-state joining process able to weld similar and dissimilar overlap joints in different classes of materials and is widely being considered for automotive industry. In this work, the mechanical behavior ) i.e. tensile shear tests, Microhardness(, and microstructure of friction stir spot welded joints were studied for AA6061-T6 aluminum alloy sheets with thickness of 1.6 mm. Series of FSSW experiments were conducted using vertical CNC milling machine type "C-tek". FSSW is carried out at different pin profiles (cylindrical, taper, and triangular) and tool rotational typically speeds, i.e. 800, 1000, 1200 and 1400 rpm. Based on the welding experiments conducted in this study, the results show that sheets welded by triangular pin tool have highest tensile shear load, of 3.2 kN, followed by welds with cylindrical pin, while welds made using taper pin has the tensile shear load 2.1 kN at optimum speed of 1200 rpm. Also the pin shape and rotational speed had an obvious effect on microstructural parameters i.e. hook height and bond width.اللحام بالخلط الاحتكاكي النقطي من طرق لحام الحالة الصلبة الحديثة قادرة على لحام وصلات التراكب متشابهة والمتباينة في أصناف مختلفة من المواد التي تستخدم بشكل واسع في صناعة السيارات. في هذا العمل,تم دراسة الخصاص المكانيكية (حمل قص الشد, الصلادة الدقيقة( والبنية المجهرية لوصلات صفائح سبيكة الألمنيوم A6061-T6 الملحومة بالخلط الاحتكاكي النقطي ذات سمك(1.6) ملم. تم تنفيذ التجارب بواسطة ماكنة تفريز عامودية نوع C-tek. تم اجراء اللحام الاحتكاكي النقطي لثلاث اشكال مختلفة لراس عدة اللحام مثلث ودائري ومخروطي وعند اربعة سرع دورانية عملية (800 , 1000, 1200 , 1400 دورة بالدقيقة). استنادا إلى التجارب التي أجريت في هذه الدراسة، أظهرت النتائج أن صفائح الملحومة بواسطة راس اداة اللحام ذات مثلثة الشكل لديها أعلى حمل لشد القص (3.2kN) تليها الصفائح المحلحومة بواسطه راس اداة اللحام اسطوانية الشكل,في حين حققت اللحامات باستخدام لراس عدة اللحام مخروطية الشكل ادنى حمل لشد القص(2.1kN) عند السرعة المثلى (1200 دورة في الدقيقة(. كذلك شكل راس اداة اللحام وسرعة الدوران لهما تأثير واضح على ارتفاع الخطاف وعرض الرباط. Aluminum Alloy A6061 --- Friction Stir Spot Welding --- Micro hardness --- Tensile Shear --- Pin Profiles. In this work , experimental investigation has been done for free-convection heat transfer from rectangular fins array on a heated horizontal base plate to surrounding air in the steady-state flow condition with rectangular notch portion effects. Five cases of fins arrays have been employed . One case without notch and other cases with rectangular notches for different percentages of aspect ratio area removal from fin . The horizontal base plate has been heated with various electrical supplied power values. Different number of fins and spacing have been used . The effect of notches from fins on average convection heat transfer coefficient and average Nusselt number at constant aspect ratio of fin height to fin length and varying heat inputs to the heating element have been discussed . The experimental results show that the performance of notched fins array in term of average convection heat transfer coefficient is 28% to 45% higher than unnotched fins array. The present experimental results have been compared with previously works . The results show a good a greement.يتناول هذا البحث دراسة تجريبية لأنتقال الحرارة بالحمل الحر من مصفوفة زعانف مستطيلة الشكل مثبتة على قاعدة أفقية مسخنة الى الهواء المحيط في حالة الجريان المستقر مع تأثير الشقوق (المساحات المزالة) المستطيلة الشكل في الزعانف. تم أستخدام خمس حالات لمصفوفات الزعانف . حالة واحدة بدون شقوق والحالات الأخرى بوجود شقوق مستطيلة الشكل في الزعنفة وبنسب مئوية مختلفة للمساحة المزالة. أستخدمت عدة مستويات من القدرة الكهربائية المجهزة لتسخين الصفيحة (القاعدة) الأفقية. أستخدم عدد مختلف من الزعانف والفراغات البينية لمصفوفة الزعانف. تم توضيح و مناقشة تأثير الشقوق (المساحة المزالة) في الزعنفة والمسافة البينية على معدل معامل أنتقال الحرارة بالحمل ومعدل رقم نيسلت بثبوت النسبة بين أرتفاع الزعنفة الى طول الزعنفة مع تغيير القدرة المجهزة لعنصر التسخين . أظهرت النتائج التجريبية أن أداء مصفوفة الزعانف بوجود الشقوق بدلالة معدل معامل أنتقال الحرارة بالحمل أعلى بنسبة 28% الى 45% مقارنة بمصفوفة الزعانف بدون الشقوق. تم مقارنة النتائج التجريبية للبحث المقدم مع بحوث سابقة وأظهرت النتائج توافق جيد. Computed Tomography CT --- Algebraic Reconstruction Technique ART --- Multi Slice Cone Beam (MSCB) --- Multiplicative ART. This paper aims to investigate the effect of using different types of pipelines with the servo hydraulic system enhanced with PID controllers tuned by fuzzy logic. The mathematical models of several types of pipelines with different specifications (i.e. area variations in the pipe, disturbance source, etc.) are developed. The effect of the modified pipelines on the position control system at spool displacement is tested,since the servo hydraulic systems are difficult to control due to nonlinearity and complexity of their mathematical models. A PID controller tuned using fuzzy logic technique is used to improve the servo hydraulic system response.The results show that the mathematical models of the pipelines have a significant effect on the performance of the position control system at spool displacement according to the used pipeline type.Furthermore, a more desirable time response specifications and less steady state error are achieved after using the proposed controller.يهدف هذا البحث الى عمل دراسة عن تأثير مجموعة مختلفه من الانابيب على النظام الهايدروليكي والذي سيتم تعزيزه بالمسيطر التناسبي -التكاملي –التفاضلي المُنغم بذكاء المنطق المُضبب. ويتم ذلك عن طريق دراسة موسعه للمعادلات الرياضيه ولعدة انواع من الانابيب مع اختلاف مواصفـاتها كمــثال: (التغيير في اقطار الانابيب, وجود مصادر مسببه للاضطرابات, وهكذا ). ان تأثير الانابيب المستخدمه على الازاحة الخطية للنظامتم اختبارها, وحيث ان النظام الهايدروليكي من الانظمه التي يصعبالسيطرة عليهابسبب التاثيرات اللاخطية والتعقيدات وذلك من خلال دراسة معادلات النظام الرياضيه فقد تم استخدام المسيطر التناسبي -التكاملي –التفاضلي المُنغم بذكاء المنطق المُضبب لتحسين نتائج النظام الهايدروليكي. اظهرت النتائج ان للنماذج الرياضيه المستخدمة للانابيب تأثير معتبر على اداء الازاحة الخطية للنظام وحسب نوع الانبوب المستخدم. علاوة على ذلك, اظهرت النتائج تحسن واضح في مواصفات زمن استجابة النظام وتقليل في الخطا بعد استخدام المسيطر المقترح. Servo Hydraulic System --- Pipelines --- PID controller and Fuzzy Logic Technique. This work deals with treatment ofused lubricant oils whichare accumulate from automotive engine, bythermal conversion process. The used lubricant oil for two samples is fractionated by the atmospheric distillation device into fractions, (waste oil liquids and residue). Which are carried out at atmospheric pressure and temperature up to 350 ºC. The conversion which was obtained from these fractions was (92 and95) % respectively for these two samples. The fractionated waste oil liquids products fromatmospheric distillationdeviceare fractionated alsoto light fractions (gasoline, kerosene, gas oil) and residue for these two samples at atmospheric pressure according to their boiling point.These fractions for these two samples are also distillated inatmospheric distillation device, in order to calculatesome important physical and chemical properties (Mean average boiling point, specific gravity, flash point, aniline point, smoke point, molecular weight) of these fractions, to comparison with standardphysical and chemical properties, alsostudying the possibilities of industrial uses for these fractions. The yield of gas oil for the first samplein waste lubricant oilisabout 50%, more than gasoline 15% and kerosene 30%from 100 ml of treatment waste lubricant oil, and more identical curve from gasoline and kerosene curve. Also for the second sample, the yield of gas oil is the largest quantity 43%fromtheyield of gasoline 15% and yield of kerosene 35% from 200 ml of treatment waste lubricant oil, and more identical curve with kerosene from gasoline curve.هذا البحث يتعلق بدراسة امكانية معالجة زيوت التزييت المستعمله والمتجمعهمن السيارات و المحركات الميكانيكيه المختلفه بعمليات تحويليه حراريه وبالتالي اعادة استخدامها مرة اخرى. تم استعمال نموذجين مختلفين من زيوت التزييت المستعمله في محرك السيارات احدهمها مستعمل لمسافه سير 2000 كم والاخر لمسافة سير 4000 كم. تم معالجة كل نموذج على حده وذلك باستعمال جهاز التقطير الجوي(ASTM D-86) حيث تم فصل كل نموذج الى مقطعين احدهما( مقطع زيتي ومقطع مخلفات) وتم ذلك عند درجة حرارة اقصاها 350 م° وعند الضغط الجوي الاعتيادي. تم الحصول على مقدار تحول (conversion) يصل الى 95 % للنموذج الزيتي المستعمل الاول ومعدل تحولconversion) ) مقداره 92.5 % للنموذج الزيتي المستعمل الثاني. تم تقطير كل سائل زيتي للنموذجين على حدة مرة اخرى بواسطة جهاز التقطير الجوي (ASTM D-86) الى مقاطع بتروليه خفيفه ثلاث ( كازولين, كيروسين , كاز اويل) للنموذجينعند الضغط الجوي الاعتيادي ,وذلك اعتمادا على درجة حرارة غليانها. تم تقطير كل مقطع خفيف من هذه المقاطع الثلاثة ولكل نموذج زيتي مستعمل وذلك لايجاد منحنى التقطير لها لكي تتم مقارنتها مع منحنى التقطير القياسي (التجاري) لهذه المقاطع الثلاثه وبالتالي المقبوليه. تم حساب بعض المواصفات المختبريه الفيزياويه والكيمياويه الحاكمة لهذه المقاطع الثلاثه (معدل درجه الغليان, الوزن النوعي, نقطة الوميض, نقطة الانلين, نقطة الدخان. الوزن الجزيئي)وللنموذجين وذلك لمقارنتها مع المواصفات المختبريه الفيزياويه والكيمياويه القياسيه (التجاريه) ولغرض دراسة امكانية استعمالها مره اخرى. تم التوصل الى ان مقطع الكازاويل هو مطابق جدا من ناحية المواصفات المختبريه الفيزياويه والكيمياويه ومنحنى التقطير الى النموذجين من الزيوت المستعمله والمقطرة اضافة الى نسبته العالية مقارنة بمقطع الكازولين والكيروسين. نسبة الكاز اويل (زيت الغاز) الناتج من النموذج الاول 50% والكازولين 15% والكيروسين 30%. في حين كانت نسبة الكاز اويل (زيت الغاز) الناتج من النموذج الثاني 43% والكازولين 15% والكيروسين 35%. امكانية استعمال المقاطع البترولية الثلاثة الخفيفة (الكازولين, الكيروسين, الكازاويل) والناتجة من نموذجي زيوت التزيت المستعملة , لتسير السيارات(الكازولين) والاستخدامات المنزلية (كيروسين) ووقود الديزل (الكازاويل) وذلك لتطابق المواصفات المختبرية الفيزياوية والكيمياوية لهذه المقاطع الثلاثه مع المواصفات القياسيه (التجاريه). Optical methods are widely used for medical diagnostic and therapeutic purposes. The use of laser source as non-ionized radiation in the imaging is considered safe, and has advantages more than the other radiological methods The laser application in imaging is based upon the detection and measuring the laser light parameters after passing through the turbid media of the tissue layers and the tumor mass to differentiate them precisely according to their different optical properties. In this experimental study, the tumor masses were implanted in the legs of ex-vivo mice. Then each leg was non-invasively scanned by NIR 785nm diode laser. The penetrated laser light power through the leg was measured. The results were tabulated and treated by using the Matlab program version R2013a (8.1.0.609) to create 2D image for the scanned tissue. The resulted images were clear. They showed precisely the imbedded tumor, its dimensions, and its location inside the tissue.ان للتصوير البصري بالليزر العديد من المزايا التي تتفوق على التصوير باستخدام التقنيات الإشعاعية الاخرى بسبب كون الليزر المستخدم هو مصدرإشعاع غيرمؤين. وتستندهذه الطريقة على كشف توزيع ضوء الليزر في اوساط الانسجة العكرة بصريا وتمييزها بدقة حسب الخصائص البصرية لكل نسيج. وفي دراستنا العملية هذه تم اجراء المسح الضوئي الليزري للنسيج باستخدام مصدر دايود ليزر785 نانومتر ومقياس يقيس قدرة الليزر بعد نفاذها خلال النسيج لتكوين صورة ثنائية الابعاد باستخدام برنامج الماتلاب .وتم تصوير كتلة ورم سرطانية مزروعه تجريبيا في الفئران مباشرة بعد قتلها اعتماداً على الاختلافات في الخصائص البصرية والقدرة المستلمة من الليزر التي مرت خلال كتلة الورم المزروعة والأنسجة الطبيعية المحيطة بها، وبذلك تم كشف وتحديد الموقع والحجم وعمق كتلة الورم في النسيج باستخدام تقنية المسح بالليزر كوسيلة غير نافذة دون الحاجة الى التدخل الجراحي. Laser Scanning --- NIR Laser --- Laser Imaging. In Iraq some pavements of the newly constructed highway appear precocious distresses with unfavorable implications especially on the safety and the frugality. Cracking and permanent deformation are main types of these failures. The filler is doubtful to be a master contributor to these failures where its content has a significance effect on the mixture stiffness, and thereby affect the HMA pavement performance. The main objective of this research is to appreciate the influence of different contents of filler on the volumetric properties of asphaltic mixtures thus performance of asphalt mixtures through Comparative Evaluation between conventional Marshall Method and Super pave system. The implementation of a detailed experimental work is carried out to achieve the study objectives through the preparation of asphalt concrete samples using aggregate from Al-Nebaie quarry, (40-50) asphalt cement from Dourah refinery and limestone dust filler with four different contents of (0%, 4%, 8%, and 12%) by weight of the total aggregate. The volumetric properties for each mix design method are evaluated using Marshall Test and the Super pave Gyratory Compacter. The influence of filler contents on the rendering of these mixtures was evaluated.تحدث في بعض من ارصفة الطرق المبنية حديثاً في العراق حالات فشل لها تأثيرات سلبية على كل من امان الطرق واقتصادها. الانواع الرئيسية لحالات الفشل هي التشققات والتشوهات الدائمية (التخدد). المواد المالئة تعتبر من العوامل المساهمة لحالات الفشل هذه حيث تؤثر نسب المادة المالئة بصورة اساسية على صلابة الخلطات الاسفلتية وبالتالي فأنها تؤثر على اداء التبليط للخلطات الاسفلتية الحارة. الهدف من هذه الدراسة هو تقييم نسب محتوى المادة المالئة على الخصائص الحجمية للخلطات الاسفلتية وبالتالي اداء هذه الخلطات بالاضافة الى عمل مقارنة تقيمية للخلطات المصممة حسب طريقة مارشال التقليدية ونظام السوبربيف الحديث. يتم تنفيذ العمل التجريبي تفصيلي لتحقيق أهداف الدراسة من خلال إعداد عينات الخرسانة الإسفلتية باستخدام الركام من مقلع النباعي، القير صنف (40-50) من مصفى الدورة وغبار الحجر الجيري كمادة مالئة بأربعة نسب مختلفة(0٪ ، 4٪ و 8٪ و 12٪) من الوزن الكلي للركام. تم تقييم الخصائص الحجمية لكل أسلوب تصميم باستخدام اختبارمارشال وجهاز الدمك الدوراني حسب نظام السوبربيف وتمدراسة تأثيرمحتوىالحشوعلىأداء هذه الخلطات. This paper is intended to study the effect of using upstream and downstream sheet pile in double soil layer on the seepage, uplift pressure exit gradient at toe of hydraulic structure using computer program SEEP/W software. Depended on the software program tests were carried out with three different value of each following parameter: upstream sheet pile depth, downstream sheet pile depth, permeability for first and second soil layer, depth of first and second soil layer, with using constant upstream head and distance between the two sheet pile. For each test the quantity of seepage, exit gradient and uplift pressure at toe of hydraulics structure were determined. Based on the results of these runs an empirical equations developed to determine the quantity of seepage, uplift pressure and exit gradient at toe of hydraulic structure by using SPSS software. Also, Verify the SEEP/W results and the suggested equations with artificial neural network (ANN). The verification show difference less than 5% , 2% and 6% for exit gradient, discharge and uplift pressure respectively at toe of hydraulic structure.يهدف هذا البحث لدراسة تأثير استخدام ركيزة في مقدمه ومؤخره المنشأ بتربه ذات طبقتين على قيم التسرب وضغط الاصعاد وتدرج المخرج عند مؤخر المنشأ الهيدروليكي باستخدام البرنامج الحاسوبي SEEP/W. بالاعتماد على تجارب SEEP/W تم اجراء تجارب بثلاث قيم متغيره لكل عامل من العوامل التالية وهي عمق ركيزة المقدم وعمق ركيزة المؤخر ونفاذية التربة للطبقة الاولى ونفاذية التربة للطبقة الثانية وعمق الطبقة الأولى للتربة وعمق الطبقة الثانية للتربة وذلك عند قيمه ثابته لارتفاع الماء في مقدم المنشأ والمسافة بين الركيزتين. لكل تجربه تم ايجاد قيمة التصريف وضغط الاصعاد وتدرج المخرج في مؤخر المنشأ الهيدروليكي. وبالاعتماد على هذه النتائج تم ايجاد معادلات وضعيه لقيم التصريف وضغط الاصعاد وتدرج المخرج عند مؤخر المنشأ. كما تم التحقق من النتائج المتحصلة ببرنامج SEEP/W والمعادلات المقترحة عن طريق استخدام الشبكة الصناعية العصبية (ANN) والتي من خلالها استحصل مقدار التغير بالنتائج اقل من 5% لنتائج تدرج المخرج واقل من 2% لنتائج التصريف و اقل من 6% لنتائج ضغط الاصعاد عند مؤخر المنشأ. Up lift pressure --- Exit gradient --- Discharge --- Seepage --- SEEP/W --- ANN --- SPSS. Action of applied external loads, early thermal by hydration of cement in reinforced concrete (RC) structures, creep and shrinkage and seasonal effects due to environmental conditions are the main causes of inducing cracks in RC members. Most Design Codes of RC structures have underestimated the distribution steel requirements based on stating nominal or minimum requirements for early thermal and moisture movement especially in watertight continuous constructions. Three dimensional finite element analysis for a verification problem was carried out on a continuous reinforced concrete members with different bar diameter subjected to different applied temperatures values which represent the early-age and seasonal effects. The results of this analysis were compared with the available BS Code equations for crack control for early thermal movements. The comparison between the Code equation and finite element analysis was met in a good agreement. The resulted data was used to study parametrically the crack characteristics in terms of crack width and spacing of RC members in term of the effects of three different construction exposures (Class A, B and C), three values of temperatures with three different bar size diameter (10mm, 12, 16) for each one. The present work was indicated as the bar diameter increases, the required steel ratio increases proportionality to match the assumed crack width. So, to get the minimum steel ratio this is the target. It must use smallest bar diameter. But unfortunately this is limited by minimum practical bar spacing. The overall of present study was indicated that the continuous construction required high steel area especially for class A exposure.تشقق المنشاءات الخرسانية المسلحة يكون اما نتيجة الاحمال الخارجية المسلطة او الحرارة المبكرة الناتجة من تفاعل اماهة الاسمنت والزحف والانكماش او نتيجة التاثيرات الفصلية المتعلقة بالظروف البيئية. اغلب المدونات العالمية تخمن كمية الحديد اللازمة للسيطرة على التشققات الناتجة من الانفعالات المبكرة بتحديد اقل كمية لا يمكن تجاوزها عن التصميم، لكن هذه الكمية غالبا ما تكون اقل من المطلوب خاصة بالمنشاءت المائية. في هذا البحث، تم اجراء تحليل عددي لعضو انشائي مستمر مصنوع من الخرسانة المسلحة باستخدام طريقة العناصر المحددة ثلاثية الابعاد. تم دراسة تغير قطر حديد التسليح ودرجة الحرارة المسلطة نتيجة مجموع تاثير حرارة تفاعل الاسمنت المبكره والحرارة المتوقعة من الظروف البيئية على عرض التشققات والمسافات بينهم. استخدمت معادلات المدونة البريطانية للمقارنة مع نتائج طريقة العناصر المحددة. اظهرت النتائج تطابق مقبول بين طريقة العناصر المحددة والمعادلات المستخدمة في المدونة المذكورة. استخدم هذا التطابق لدراسة خصائص التشققات من حيث السمك والتباعد بينهم، حيث شملت الدراسة ثلاثة انواع من التعرض (أ، ب، جـ) لثلات قيم من الحرارة المسلطة بتغير قطر حديد التسليح لثلاثة قيم (10mm, 12, 16). اكدت النتائج من هذه الدراسة، كلما زاد قطر حديد التسليح يؤدي الى زيادة نسبة حديد التسليح للحصول على نفس عرض التشقق المطلوب. لذلك يفضل استخدام اقطار حديد صغيرة لتقليل كمية الحديد اللازمة للسيطرة على التششقات ولكن يجب عدام تجاوز البعد الادنى بين قضبان حديد التسليح. كما اشار هذا البحث بشكل عام بحاجة المنشاءات المائية المستمرة والمتعرضة لصنف التعرية (أ) الى نسبة حديد عالية اكثر من المذكور في اغلب المدونات. Watertight --- Continuous Construction --- Crack Width and Spacing --- Early Thermal Movement --- Immature Concrete. This paper investigates the effect of cutter path used in the milling process on the produced surface roughness using two different tools. The cutting paths which are named as; one directional, zigzag , Morph, overlap spiral and spiral are considered as cutter path strategies. The cutter path strategies greatly influenc the surface finish of the work pieces. The objective of this study is to investigate the best cutting characteristics and effects of cutting path for aluminuim using end mill and ball mill tools. MASTER CAM software has been used in design and producing NC CODE. The results indicate that the raw tool path strategy and flat end mill tool gives minimum roughness value with (0.15µm), while the spiral tool path strategy and ball end mill tool gives minimum roughness value with (0.76µm).يتناول هذا البحث تأثير مسار عدة القطع بالتفريز على مقدار الخشونة السطحية الناتجة باستخدام عدتي قطع مختلفة. تم أعتماد مسارات القطع المعروفة بالأتجاهي، المتعرج، خلال عملية دوران العدة، والمسار الحلزوني للعدة. تعتبر هذه المسارات مؤثرة جدا على مقدار الخشونة السطحية للمشغولات الناتجة. ان اهمية البحث تتضمن الحصول على افضل خصائص لمسار القطع لعينات من الألمنيوم باستخدام عدد قطع بالتفريز ذات نهايات مستوية وكروية. تم في هذا البحث استخدام برنامج (MASTER CAM) لغرض النمذجة والحصول على الرموز التشغيلية الخاصة بمكائن القطع المبرمج. بينت النتائج بان المسار الخام الاتجاه المنتج بواسطة عدة تفريز ذات نهاية مستوية يعطي اقل قيم للخشونة السطحية (0.15µm)، بينما يوفر المسار الحلزوني المنتج باستخدام عدة ذات نهاية كروية اقل قيمة للخشونة السطحية (0.76µm). CAD/CAM Process --- Milling Path Strategies --- CNC Milling --- عمليات التصميم والتصنيع المعان بالحاسوب، مسارات القطع بالتفريز، التفريز بمكائن التحكم الرقمي. The 3-D numerical simulations of the thermal collectors in solar heating systems were conducted to simulate the conventional solar heating system, multipurpose solar water heater (MPSWH), and multipurpose solar air heater (MPSAH). The commercial computational fluid dynamics (CFD), AVL Fire ver. 2009.2 was used to solve and investigate the temperature distributions in the absorber plate and riser tube of both solar water and air heater during summer and winter seasons. The RNG k - turbulence model was employed for this CFD study. The present paper was to provide a good understanding of thermal performance for the solar collector at different operating conditions. The experimental setup and physical data of Venkatesh, R. and Christraj, W.  were employed as geometric parameters and initial boundary conditions to model and to validate the predicted numerical values. Comparing to the values of temperatures for the conventional SWH and SAH, the predicted results of the MPSWH and the MPSAH showed a good improvement on the thermal performance. These enhancements on the temperature may have been due to the new design adopted in the multipurpose solar heating systems by using riser tubes and headers to the original design of the thermal systems. Additionally, the thermal performance of solar collectors increases with increasing the mass flow rates and thermal conductivity of absorber plate. 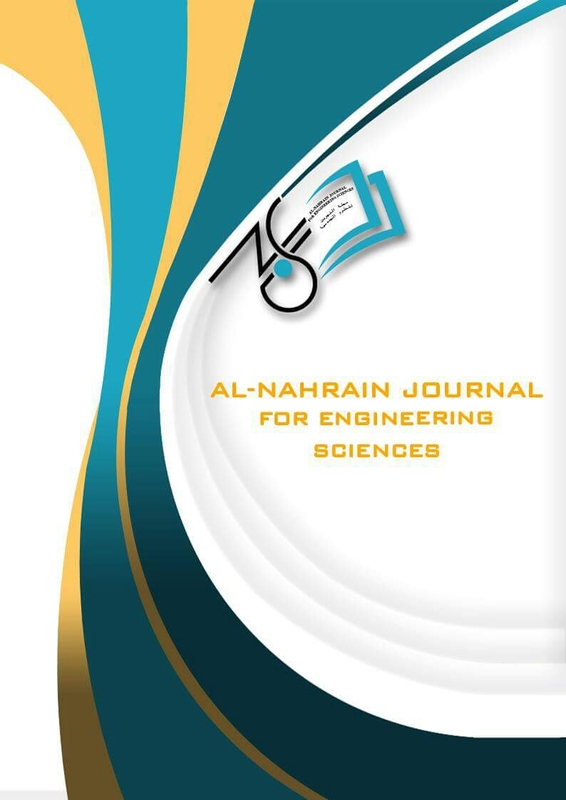 For validation aspect, the predicted results of all cases examined showed a good agreement against the measured results in terms of temperature distribution levels and thermal efficiencies.ان المحاكاة العددية ثلاثية الابعاد للجامع الحراري في انظمة التسخين الشمسي قد نفذت لمحاكاة انظمة التسخين الشمسي التقليدي و انظمة التسخين الشمسي المائي متعدد الاغراض (MPSWH) و انظمة التسخين الشمسي الهوائي متعدد الاغراض (MPSAH).ان برنامج ديناميك الموائع الحسابية التجاري (CFD) AVL Fire ver. 2009.2 قد استخدم لحل وتفحص توزيعات درجات الحرارة في لوحة امتصاص وأنبوب الناهض في كل من MPSWH وMPSAH خلال فصل الصيف والشتاء. ان موديل الجريان الاضطرابي k - RNG قد وظف في هذه الدراسة العددية. ان الغاية من البحث الحالي هي للتزود بمعلومات جيدة لزيادة الاداء الحراري لمنظومات التسخين الشمسي في مختلف شروط العمل. قد تم استخدام البيانات العملية من المصدر ]15[ كمدخلات للبرنامج الحسابي. مقارنتا الى القيم العليا لدرجات الحرارة في منظومات التسخين المائي والهوائي التقليدية (SWH و SAH) , كانت النتائج العددية ل MPSWH و MPSAH افضل على الاداء الحاري للمنظومة. هذه التحسينات على قيم درجات الحرارة حدثت بسبب التصميم الجديد المعتمد في أنظمة التدفئة الشمسية متعددة الأغراض باستخدام أنابيب الناهض والرؤوس إلى التصميم الأصلي للأنظمة الحرارية. بالإضافة إلى ذلك، فإن الأداء الحراري لجامع الطاقة الشمسية يزداد مع زيادة معدلات التدفق والتوصيل الحراري من لوحة الامتصاص. لغرض التحقيق من النتائج العددية, أظهرت النتائج المتوقعة لجميع الحالات التي تم فحصها اتفاق جيد ضد النتائج العملية من حيث مستويات توزيع درجة الحرارة والكفاءة الحرارية. Solar Collector --- CFD Simulation --- Solar Water Heater --- Solar Air Heater. An investigation of thermal conductivity enhancement, melting and solidification processes of Phase Change Materials (PCMs) by using metal foams has been carried out. Two models have been used in the experiments, model I for measuring the effective thermal conductivity of metal foam embedded in paraffin wax, and model II used as a small scale thermal energy storage device with and without metal foam for investigating melting and solidification processes of the PCM under different cooling conditions (natural and forced convection). The theoretical investigation involves analytical solution of two models, the semi-infinite medium for calculating the thermal conductivity, and the thermal energy storage system TESS has been analyzed including several assumptions for determining the convective heat transfer coefficient and the factors that controlling forced convection and solidification of the PCM. The experimental results show that the thermal conductivity of wax with 10 PPI metal foam increased by (37-39) times that of pure wax. Effects of pore density (10 and 40 PPI), metal foam, and mass flow rate on solidification process have been studied and the effects of pore density and metal foam on the melting process have also been investigated. The present experimental results have been compared with the available previous studies and gave a good agreement.يتضمن البحث الحالي دراسة لزيادة التوصيل الحراري وعملية الانصهار والانجماد للمواد المتغيرة الطور باستخدام رغوة معدنية. لقد تم استخدام نموذجين في التجارب العملية، النموذج الاول تم استخدامه لقياس فعالية التوصيل الحراري للمواد المتغيرة الطور المغمورة بداخلها الرغوة المعدنية، والنموذج الثاني تم استخدامه كجهاز قياس مصغر لخزن الطاقة الحرارية مع وجود الرغوة المعدنية وبدونه لدراسة عملية الانصهار و الانجماد للمادة المتغيرة الطور تحت تأثير ظروف تبريد مختلفة (حمل حراري حر و قسري). الدراسة النظرية تضمنت حل تحليلي لكلا النموذجين، الوسط شبه اللانهائي لحساب الموصلية الحرارية، و لقد تم تحليل نظام خزن الطاقة الحرارية بتضمين عدة فرضيات لتحديد معامل الحمل الحراري وكذلك العوامل التي تتحكم بالحمل الحراري القسري وعملية الانجماد للمادة المتغيرة الطور. النتائج العملية بينت ان الموصلية الحرارية للشمع مع الرغوة المعدنية ذات الPPI 10 تزداد من (37 الى 39( مرة نسبة الى الشمع النقي. تم دراسة تأثير عدة عوامل على عملية الانجماد (كثافة المسامات (10 و 40 PPI)، الرغوة المعدنية و معدل التدفق الكتلي) و ايضا تم دراسة تأثير الكثافة المسامية و أضافة الرغوة المعدنية على عملية الانصهار. النتائج العملية تمت مقارنتها مع نتائج لدراسات سابقة وكان التوافق جيد. Cooling greenhouses is essential to provide a suitable environment for plant growth in arid regions. However, using conventional cooling methods are facing many challenges. Filtering out near infra-red radiation (NIR) at the greenhouse cover can significantly reduce the heating load and can solve the overheating problem of the greenhouse air temperature. Four cases of shadings were examined for their ability to improve the indoor condition of a greenhouse cooled by indirect direct evaporative cooler: (shade 1) a single layer of polyethylene film, (shade 2) a double layer of polyethylene film, (shade 3) a double layer of polyethylene film with a green mesh layer (shade 4) a double layer of polyethylene film with a Utrecht Corrugated Cardboard with 3cm holes distributed for incident sun light. An experimental study is conducted to determine the performance parameters of indirect direct evaporative cooling of greenhouse in Baghdad (33.3 oN, 44.4oE) for the four types of shadings. It was found that the percentage reduction in light intensities for shade 1, shade 2 and shade 3 are 15%, 25% and 40% respectively. It percentage reduction solar intensity due to shades is increases at the beginning and ending of sunny period, while it was minimum at noon. The percentage reduction in temperature due to indirect direct evaporative cooling for the shade1, shade 2 and shade 3 and shade 4 are 32.4, 36.3, 42.4, and 47 respectively. The percentage increasing in relative humidity due to indirect direct evaporative cooling for the shade1, shade 2 and shade 3 and shade 4 are 562.5, 729, 871, and 788 respectively. The percentage increasing in temperature due heating load of greenhouse for the shade1, shade 2 and shade 3 and shade 4 are 41.4, 33.2, 20.5, and 11 respectively. The percentage decrease in relative humidity due heating load of greenhouse for the shade1, shade 2 and shade 3 and shade 4 are 43.4, 31, 11.8, and 7 respectively.يعد تبريد البيوت المحمية من الامور الضرورية لتوفير مناخ مناسب لنمو النباتات في المناطق الجافة. يواجه استخدام اساليب التبريد التقليدية الكثير من التحديات المادية و الفنية اضاقة الى شدة الاشعاع الشمسي ووجود الاشعة تحت الحمراء المؤذية للنبات و التي تزداد خطورتها في البيوت المحمية مع وجود ظاهرة الاحتباس الحراري. في هذا البحث تم اختبار اربعة انواع من اغطية و تضليل البيوت الزجاجية المبردة بالتبريد التبخيري (غير المباشر-المباشر) وهي (الظل1) طبقة واحدة من البولي إثيلين، (الظل 2) طبقة مزدوجة من البولي إثيلين، (الظل 3) طبقة مزدوجة من البولي ايثلين مع طبقة الظل الأخضر (الظل 4) طبقة مزدوجة من البولي إثيلين مع طبيقة من الكرتون المقوى المثقب بثقوب موزعة بقطر 3 سم لتسمح بمرور جزأ من اشعة الشمس. تبين أن نسبة الخفض في شدة الضوء للظل 1و الظل 2 والظل 3 هي 15٪و 25٪ و 40٪ على التوالي. كذلك ان نسبة تخفيض الاشعاع الشمسي نتيجة الظلال تكون عالية في بداية النهار ونهايته ، في حين سجل اقل نسبة انخفاض ظهرا. وان نسبة الخفض في درجات الحرارة بسبب التبريد التبخيري (غير مباشر-المباشر) عن الظل 1و الظل 2 والظل والظل 3 و الظل 4 هي 32.4، 36.3، 42.4 و 47 على التوالي. و نسبة الزيادة في الرطوبة النسبية بسبب التبريد التبخيري (غير المباشر-المباشر) هي 562.5، 729، 871، 788 على التوالي و نسبة الزيادة في درجة الحرارة نتيجةالاحمال الحرارية المسلطة على البيت الزجاجي هي 41.4، 33.2، 20.5 و 11 على التوالي. واخيرا وجد ان نسبة الانخفاض في الرطوبة نتيجةالاحمال الحرارية المسلطة على البيت الزجاجي هي 43.4، 31، 11.8، و 7 على التوالي. Recently, major part of convection heat transfer researches focus on increasing fins efficiency by increasing thermal performance for the same fin volume. Metal foam is a promising way to achieve this aim. Performance analysis has been carried out to investigate the heat transfer characteristics of copper fin foam samples. The samples have been compared with the solid metal fin heat transfer. A forced convection heat transfer had been applied to a four specimens. An electrical heater heats up the fins, which are subjected to a stream of the ambient air driven by a blower fan as heat dissipated. The heat flux had been fixed along the tests with three different air velocity used; the forced heat convection had been simulated. The pores density of copper fin foam is varied in the range of 10, 20 & 40 pores per inches (PPI). Thermal performance of copper fin foam has been evaluated in terms of average Nusselt number and thermal resistance of heat sinks. The increasing in the heat transfer rate and average Nusselt number when used metal foam has been found in the range of 36-133 % compare to solid copper. Furthermore, it has been proven that this increment reaches the maximum value for a given PPI even when raise the air velocity.في الآونة الأخيرة، جزء كبير من الباحثين ركز اهتمامه على زيادة كفاءة الزعانف عن طريق زيادة الأداء الحراري لنفس حجم الزعنفة الاصلية. المعدن الاسفنجي أحد الطرق الواعدة لإنجاز هذا الهدف. تم اجراء تحليل أداء لبحث الخواص الحرارية لنماذج زعانف من النحاس الاسفنجي. هذه النماذج تم مقارنتها مع انتقال الحرارة في زعانف النحاس الصلد. انتقال حرارة بالحمل القسري تم تسليطه على أربعة نماذج. مسخن كهربائي سخن الزعانف التي كانت تخضع لتيار من الهواء المحيط مدفوع بواسطة مروحة منفاخ والذي يعتبر كمشتت للحرارة. الفيض الحراري تم تثبيته في كل التجارب وباستخدام ثلاث سرع للهواء، حمل الحرارة القسري تم تمثيله. فيض حراري ثابت تم تسليطه خلال التجارب مع سرع هواء معينة كمتغيرات حاكمة. كثافة المسام للنحاس كانت 10, 20, 40 مسامة بمربع البوصة. الأداء الحراري لزعنفة النحاس الاسفنجي تم حسابه من خلال معدل رقم نسيلت والمقاومة الحرارية لمشتت الحرارة. الزيادة في معدل انتقال الحرارة ومعدل رقم نسيلت عند استخدام المعدن الاسفنجي وجدت بحوالي مدى من %36 الى 133 % مقارنة بالمعدن الصلد. علاوة على ذلك، تم اثبات ان هذه الزيادة تصل لقيمة عظمى لكل قيمة من كثافة المسام ولا تتجاوزوها حتى بزيادة سرعة الهواء. Fin --- Pores Per Inches --- Metal Foam --- Heat Convection --- Thermal Resistance. An experimental investigation has been performed to study the effect of combined artificially roughened (ribs) with and without single Large Eddy Break-Up Devices, on flow and heat transfer characteristic of fully developed turbulent flow in rectangular duct. The aspect ratio of rectangular duct is 10, hydraulic diameter 72.72 mm, relative roughness pitch (P/e) 10 and relative roughness height (e/Dh) 0.05. The rib was in the form of circular shape with diameter of (4mm) which was mounted on heated wall of duct at spanwise direction. The experiments have been conducted by varying airflow rate in terms of Reynolds number ranging from 3.2x104 to 6.2x104 and constant heat flux of 600W/m2. The heat transfer and friction factor of the flow for rib and combined method were compared with those of a smooth duct under similar experimental conditions. It has been found that the combined method (rib with single Large Eddy Break-Up Devices) has significant effect on the friction factor and heat transfer with decreasing in friction factor with percent(1.2) and increasing Nusselt number with (4.1). Correlations for Nusselt number and friction factor in terms of (Reynolds number and Large Eddy Break-Up Devices) parameters are found which reasonably correlate the experimental data. Drag Reduction --- Turbulence Manipulation --- Large-Eddy Break-Up Devices. The goal of this paper is to present a study of tuning the Proportional–Integral-Derivative (PID) controller for control the position of a DC motor by using the Particle Swarm Optimization (PSO) technique as well as the Ziegler & Nichols (ZN) technique. The conventional Ziegler & Nichols (ZN) method for tuning the PID controller gives a big overshoot and large settling time, so for this reason a modern control approach such as particle swarm optimization (PSO) is used to overcome this disadvantage. In this work, a third order system is considered to be the model of a DC motor. Four types of performance indices are used when using the particle swarm optimization technique. These indices are ISE, IAE, ITAE and ITSE. Also study the effect of each one of these performance indices by obtaining the percentage overshoot and settling time when a unit step input is applied to a DC motor. A comparison is made between the two methods for tuning the parameters of PID controller for control the position of a DC motor is considered. The first one is tuning the controller by using the Particle Swarm Optimization technique where the second is tuning by using the Ziegler & Nichols method. The proposed PID parameters adjustment by the Particle Swarm Optimization technique showed better results than the Ziegler & Nichols’ method. The obtained simulation results showed good validity of the proposed method. MATLAB programming and Simulink were adopted in this work.الهدف من هذا البحث هو تقديم دراسة عن كيفية أختيار القيم المثالية الجيدة للمسيطرات من نوع التناسبي –التكاملي-التفاضلي للسيطرة على الزاوية الدورانية لمحرك تيار مستمر بأستخدام تقنية اسراب الطيور أضافة الى طريقة زكلر و نيوكلس. أن الطرق التقليدية المستخدمة سابقا كطريقة زكلر و نيوكلس تعطي أخراج ذو قمة عالية وزمن استقرار طويل وهذه القمة العالية تعتبر صفة غير مرغوب بها. لهذا السبب تم استخدام طريقة اسراب الطيور للتخلص من الصفات غير الجيدة الموجودة في الطرق التقليدية. في هذا البحث تم أعتماد لغة ماتلاب لأختيار التمثيل الرياضي لمحرك التيار المستمر الذي تم وصفه كمنظومة من الدرجة الثالثة. تم أستخدام أربعة أنواع من مؤشر الصفات هي التكامل التربيعي للخطأ و تكامل مطلق الخطأ والتكامل الزمني لمطلق الخطأ وأخيرا التكامل الزمني التربيعي للخطأ. وكذلك تم أيجاد الخرج للمنظومة بأستخدام هذه الأنواع الأربعة من مؤشر الصفات عند أعطاء دخل قيمته واحد. كذلك تم إجراء مقارنة بين الطريقتين أعلاه لأختيار القيم المثالية للمسيطر كانت الأولى باستخدام تقنية طريقة أسراب الطيور مع الأنواع الأربعة من مؤشر الصفات والثانية بأستخدام تقنية زكلر و نيوكلس. أظهرت النتائج المستخلصة بأن طريقة اسراب الطيور المقترحة هي أفضل من طريقة زكلر و نيوكلس. كما أظهرت النتائج المستخلصة فعالية الطريقة المقترحة. Position of a DC Motor --- PID Controller --- Particle Swarm Optimization --- Ziegler and Nichols’ Method --- Performance Indices. In this study, low cost biosorbent ̶ inactive biomass (IB) granules (dp=0.433mm) taken from drying beds of Al-Rustomia Wastewater Treatment Plant, Baghdad-Iraq were used for investigating the optimum conditions of Pb(II), Cu(II), and Ni(II) biosorption from aqueous solutions. Various physico-chemical parameters such as initial metal ion concentration (50 to 200 mg/l), equilibrium time (0-180 min), pH (2-9), agitation speed (50-200 rpm), particles size (0.433 mm), and adsorbent dosage (0.05-1 g/100 ml) were studied. Six mathematical models describing the biosorption equilibrium and isotherm constants were tested to find the maximum uptake capacities: Langmuir, Freundlich, Redlich–Peterson, Sips, Khan, and Toth models. The best fit to the Pb(II) and Ni(II) biosorption results was obtained by Langmuir model with maximum uptake capacities of 52.76 and 36.97 mg/g for these two ions respectively. While for Cu(II) the corresponding value was 38.07 mg/g obtained with Khan model. The kinetic study demonstrated that the optimum agitation speed was 400 rpm, at which the best removal efficiency and/or minimum surface mass transfer resistance (MSMTR) was achieved. A pseudo-second-order rate kinetic model gave the best fit to the experimental data (R 2 = 0.99), resulting in mass transfer coefficient values of 42.84×〖10〗^(-5), 1.57×〖10〗^(-5) , and 2.85×〖10〗^(-5) m/s for Pb(II), Cu(II), and Ni(II) respectively. The thermodynamic study showed that the biosorption process was spontaneous and exothermic in nature.في هذه الدراسة لمواد حيوية ممدصة ميته حبيبية ( قطر الحبيبة = 0.433 ملم ) تم اخذها من احواض التجفيف لمحطة الرستمية لمعالجة المخلفات السائلة بغداد-العراق . استخدمة هذه المواد للتحقق من افضل الظروف لامدصاص ايونات الرصاص , النحاس و الكادميوم من الوسط المائي. تم دراسة تاثير كل من تركيز ايونات المعادن الثقيلة ( 50- 200 ملغ/ لتر ), زمن الاتزان (0-180 دقيقة), الاس الهيدروجيني ( 2-9) , سرعة الخلط ( 50-200 دورة/ دقيقة), قطر الدقائق ( 0.433 ملم) و تركيز المادة الممدصة ( 0.05-1 غ/ 100 ملم). تم استخدام ست موديلات رياضية لتمثيل اتزان الامتصاص الحيوي و ثوابت الموديلات الوضعية وذلك لايجاد اعظم قابلية سحب لايونات المعادن Langmuir, Freundlich, Redlich–Peterson, Sips, Khan, and Toth ) ( وقد بينت النتائج ان موديل Langmuir افضل موديل رياضي لتمثيل اغظم سحب لايونات كل من الرصاص و النيكل ( 52 و 36.97 ملغ/ غم) . بينما لايونات النحاس كان اعظم قابلية سحب 38.07 ملغ/غم باستخدام موديل خان. الدراسة الحركية بينت افضل ظروف هي 400 دورة بالدقيقة لسرعة الخلط وكان اقل مقاومة لانتقال الملوثات الى المادة الممدصة تخضع لموديل الحركة من النوع الثاني R 2 = 0.99), ) كافضل تطابق و كانت 42.84×〖10〗^(-5), 1.57×〖10〗^(-5) , 2.85×〖10〗^(-5) m/s لكل من ايونات الرصاص النحاس والكادميوم الدراسة الميكانيكية الحركية بينت ان التفاعل من النوع العفوية والطاردة للحرارة في الطبيعتها.